﻿If you asked people to picture their perfect paradise, each would picture something different. 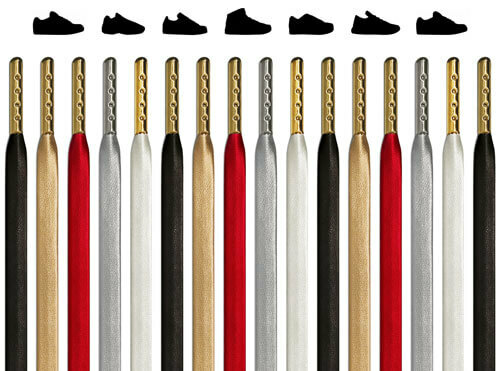 But if you asked anyone to picture their perfect para-laces, they'd picture flat shoelaces. Why? Because they're the shoelace. 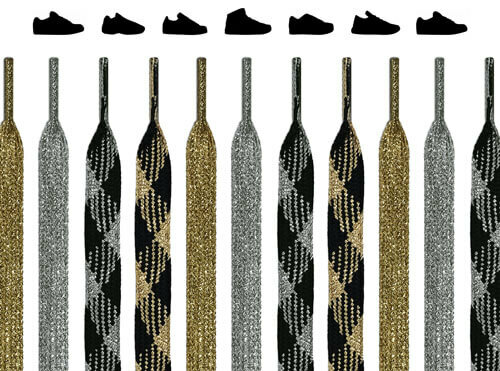 Other shoelaces are jealous of their popularity, and with good reason: they're not shy about how good they look. 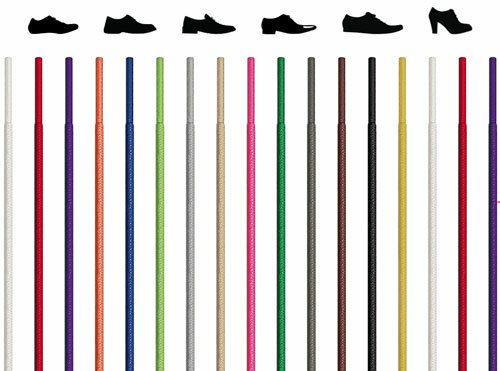 So unless you're sporting formal footwear, flat shoelaces are your safest bet (even though they're dangerously stylish). 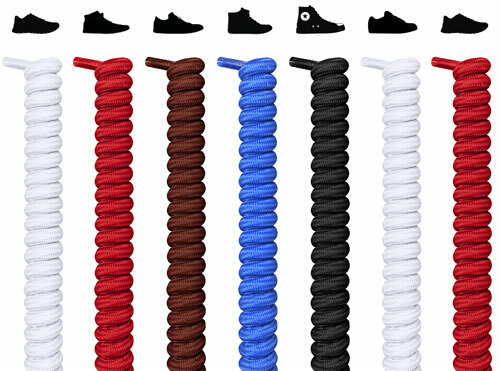 - This is the most-used shoelace, which means it that comes in most new shoes. - Great for all types except formal/dress shoes. 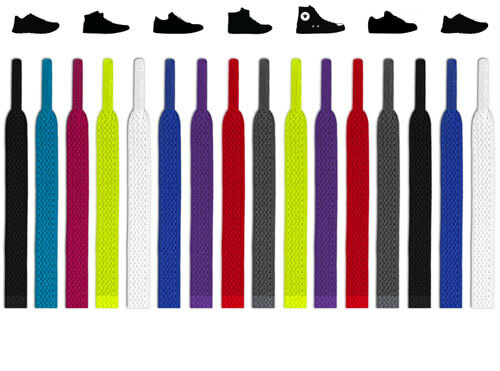 - Made of polyester, woven in a strong pattern that makes the shoelaces highly durable. 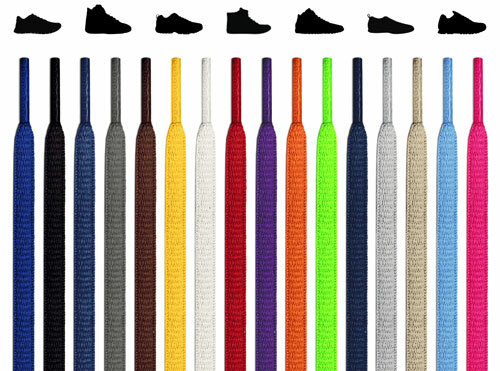 - Available in 9 lengths: 28", 35", 44", 51", 60", 70", 80", 100"
The color and the design is all up to you, but in terms of style, you can't go wrong with flat shoelaces. The only thing better than the sweet sound of brand-new lace sliding through the eyelet is that mirror-moment. You know the one, where your lace-and-shoe combo makes it look like you're moonwalking while putting sunglasses on even when you're standing still. Just be ready to let people know: "My eyes are up here." Because everyone knows that the first thing people notice are your shoelaces. Then your eyelets. Then your shoes. Then…your socks? We're not sure, but we do know that laces are first. Since flat shoelaces are what come in most pairs of casual footwear, you can kick your feet up knowing they'll fit perfectly and look great. And whether you're upgrading, replacing some inferior laces, or just want some variety, you're definitely going to want to kick your feet up: it gives you a great angle for admiring your unrivaled pumps. They fit into almost any new shoe, …well, long as they're not Velcro shoes. Our friction ain't fiction. 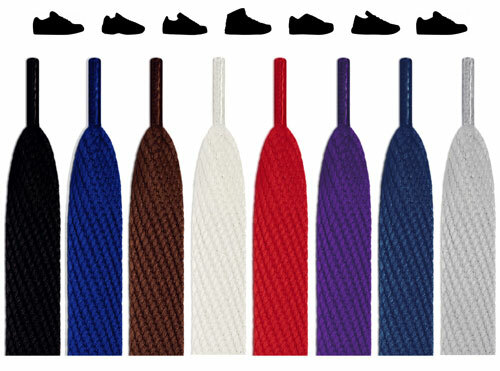 These laces stay tied because laces are our primary product, not secondary (or fourthondary). 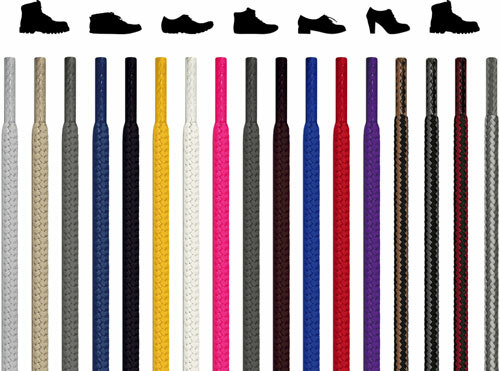 When it comes to our shoelaces, we make sure there's plenty of friction no matter what your tie-up game. 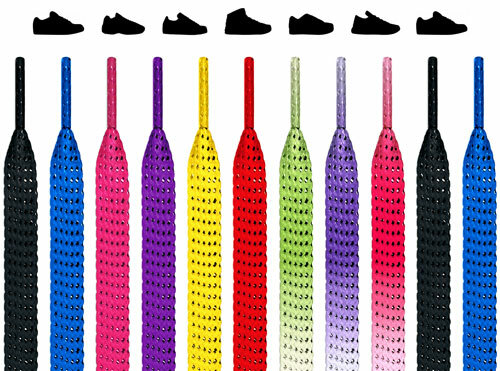 Apparently, there are over 2 trillion possibilities, but here are 52 lacing methods you might get a kick out of. But unless one of those lacing methods is not tying them, your laces won't come undone until you want them to. And if you never want them to, that's cool too. 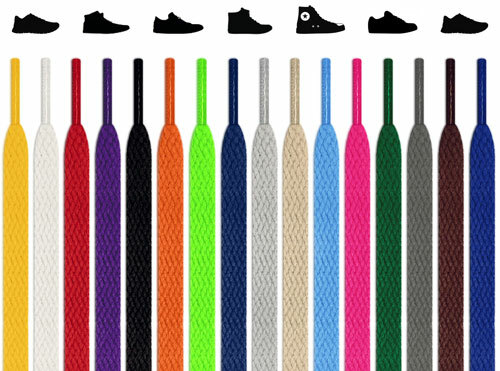 We don't judge, we just make great flat shoelaces. 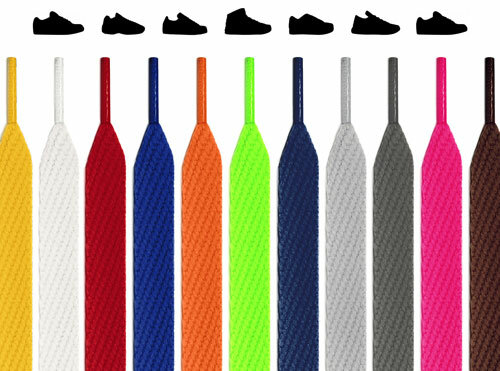 We build our laces to be strong, durable, and long-lasting, and we're confident that they'll last forever. We're so confident, in fact, that you can return your laces at any time, be it the day you receive them or 50 years from now. Do they hold the key to eternal life? Who knows. But I'm planning on giving the flat shoelaces I have on right now to my first-born child on their 50th birthday, and they're only three years old. We want to make sure you can always travel this big blue space marble we humans call home, which is why our products have OEKO-TEX® STANDARD 100 testing certification. We encourage you to learn more here, but in summary, we use bleach, dyes, and other chemicals in the most environmentally-sound way possible. We don't wash oil off of baby seals, but it’s damn close.